We are open as usual today as the temperature is due to rise and we are likely to have rain later. 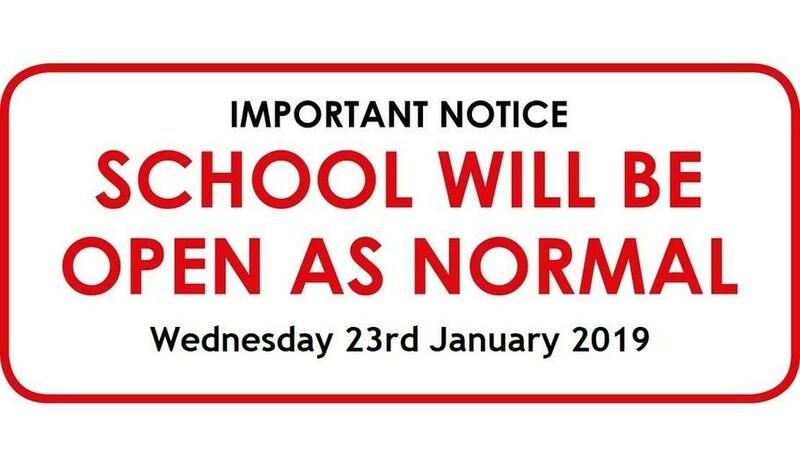 Please allow longer than usual to get into school as there is ice on some pavements and local roads. Children should wear winter-appropriate clothing (footwear with grips, a warm coat, hat and gloves). Thank you.